The LU600 is a portable transmission unit for global newsgathering and live sports and events coverage. 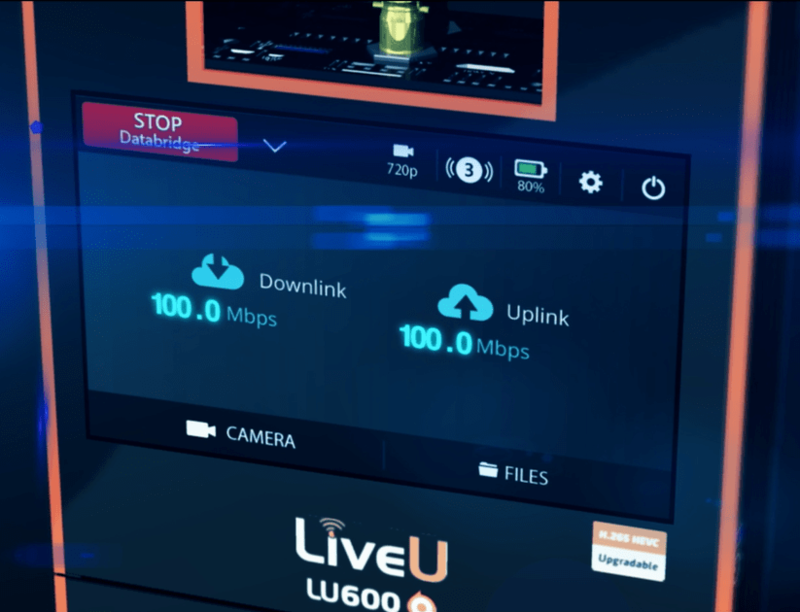 The LU600 delivers the highest video quality and bitrate in the market (up to 20Mbps), and is set to offer the fastest file transfer (60Mbps), lowest delay and 100Mbps high-speed Internet connection. The new LU600 is field upgradable to H.265 HEVC, continuing LiveU’s adoption of the latest encoding standards and providing support for ‘Live & Store’ using the same video card.